Britain has largely been in denial of its migrant past - it is often suggested that the arrivals after 1945 represent a new phenomenon and not the continuation of a much longer and deeper trend. There is also an assumption that Britain is a tolerant country towards minorities that distinguishes itself from the rest of Europe and beyond. The historian who was the first and most important to challenge this dominant view is Colin Holmes, who, from the early 1970s onwards, provided a framework for a different interpretation based on extensive research. This challenge came not only through his own work but also that of a 'new school' of students who studied under him and the creation of the journal Immigrants and Minorities in 1982. 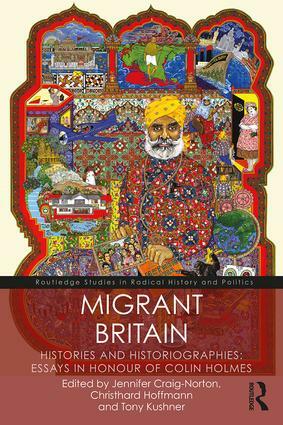 This volume not only celebrates this remarkable achievement, but also explores the state of migrant historiography (including responses to migrants) in the twenty-first century.